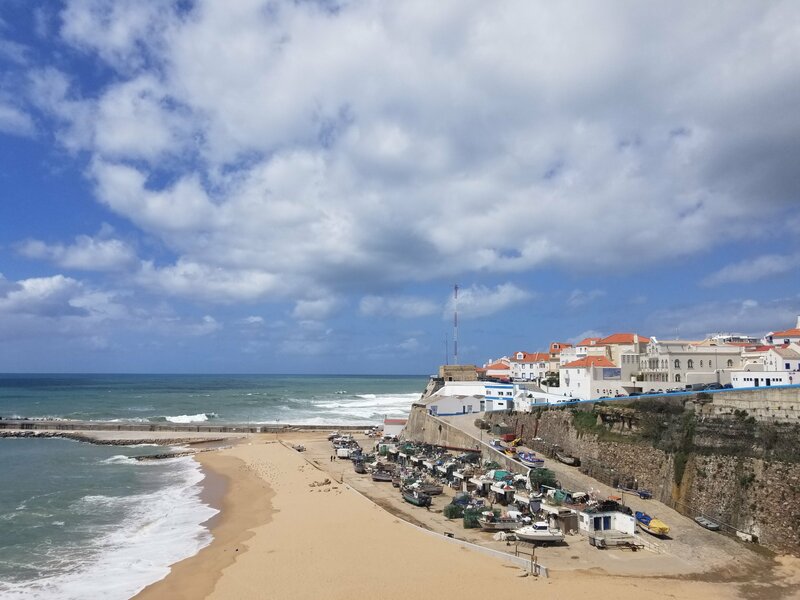 Ericeira is a beautiful surfing/ fishing village overlooking the Atlantic Ocean. It is world known for its wild beaches, excellent seafood, constant swells, and wild parties. It is also designated as one of 4 World Surfing Reserve sites and the ONLY one in Europe. 😲 There are over 20 world-class surfing spots for all skill levels within a short drive. Upon arrival, I suggest you head into town in the late afternoon to check the picturesque old fishing village. Pick up an acai shake or a really good coffee from Fluctus Surf Cafe and visit Ericeira World Surfing Reserve Interpretative Center right next door. 🌊 You’ll be surfing these magical breaks over the next week or so, you should know more about them and get the theory, don’t you think? Ericeira World Surfing Reserve Intepretative Center is completely free and one of the coolest hands-on 🙌 (literally) installations I’ve EVER witnessed! What are the 2 best compliments a surf instructor can pay a true surfer girl? Foz de Lixando – the local beach break for lessons at Rapture so you can’t miss it! Local bars after 10pm – Adega to start the night with the tourist gang. Taverna do Lebre to grab drinks with the locals. Tubos for dance moves, Tiki next door for even more cocktails. Luckily, all 3 of latter are on the same corner within 10m radius. Having covered surfing, food, and drinks (I’ve got my priorities right 😉) now onto hikes, bike rides at sunset, skate sessions, and yoga (perhaps even on water)! Being perched on the cliffs by Foz do Lizandro, Rapture Surfcamp offers plenty of hiking opportunities right out its front door. In the late afternoon, grab a bike and head into town for a long ride all the way to Matadouro or Ribeira das Islas and back. While at Matadouro, stop by the Quicksilver shop and check out their incredible skate park with ocean views. Have a beer (or caipirinha🍹) and lounge for a bit on their deck!